Maurice de Mauriac is the official timekeeper of Forward Festival Zurich 2017. Growing up near Lake of Constance, Daniel Dreifuss had a (dis)illusion of one day being a banker. At 18 he materialised this idea and for 10 years worked in Zürich and New York, striped shirts and all. As a Jewish banker in New York he was living the dream, until aged 27 and the realisation that he was not a team player, instead wanting to be his own boss. Maurice de Mauriac is the brainchild of Dreisfuss, a fantasy created from three iconic figures in his life – philosopher Michel de Montaigne, Nobel Prize in Literature (1952) François Mauriac; and Moshe (Moses). His two driving forces, family and work, are intertwined and result in a distinguished brand with an honest personal touch. 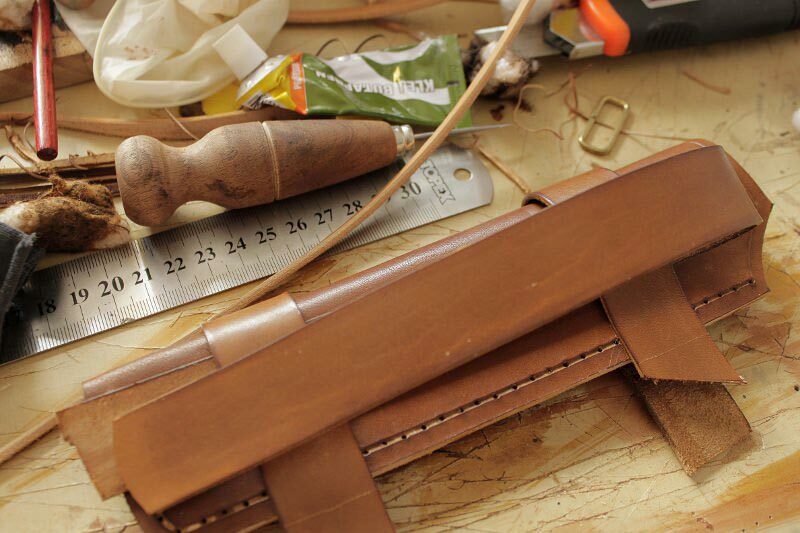 Dreifuss, a man of connections, does not collect money or art, but people and stories, straps and knowledge. Calling Zurich home for over 25 years, he has a carefree way of bringing people together and making connections – with his expansive network living in the contacts of his phone. He himself manages the company’s 5 social media accounts, with his clientele of friends and celebrities in all corners of the globe sending him photos to share. His atelier tucked away on quiet Tödistrasse is an area upcoming with other creative endeavours and projects including Ply, Balboa and soon the new Motel One, which Dreifuss acknowledges brings an alternative crowd to Kreis 2. He is a family man, with his two sons Leo and Massimo supporting him run the business, proud that his children can travel with him to understand the world. His wife Claudia, a painter who works from her atelier next door, holds the family together and Dreifuss is adamant that Maurice de Mauriac is a ‘we’ not a ‘me’ venture. 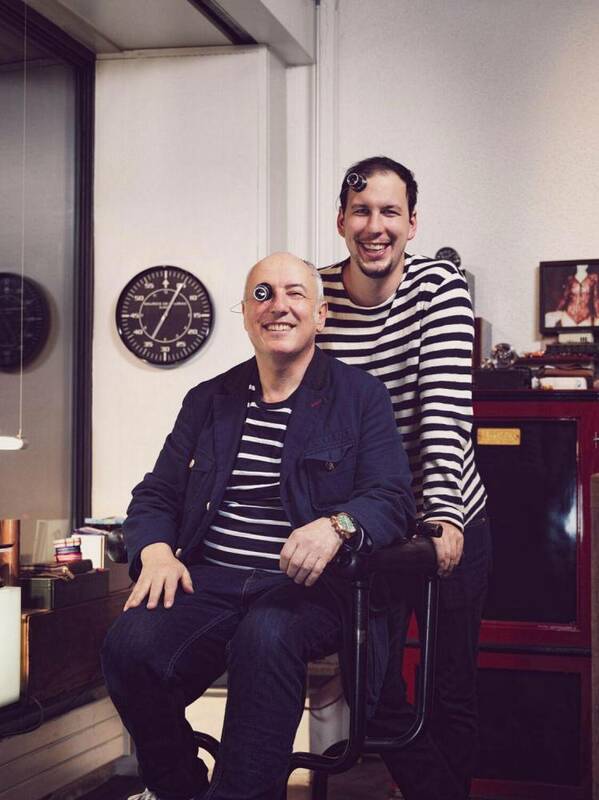 Dreifuss sees life in colours and unlike other watchmakers, comes up with the product before the papers. He is an observer, always watching and stimulating. He works small and adaptable, prioritising research development which allows Maurice de Mauriac the freedom to move ahead and reinvent themselves continuously. Modern, refreshing watchmaking for the urban citizen, globally-minded individuals and not to forget hip hop legend RUN DMC. His latest L Series are about a dogma – it has something to say, it has a story and a consequence. 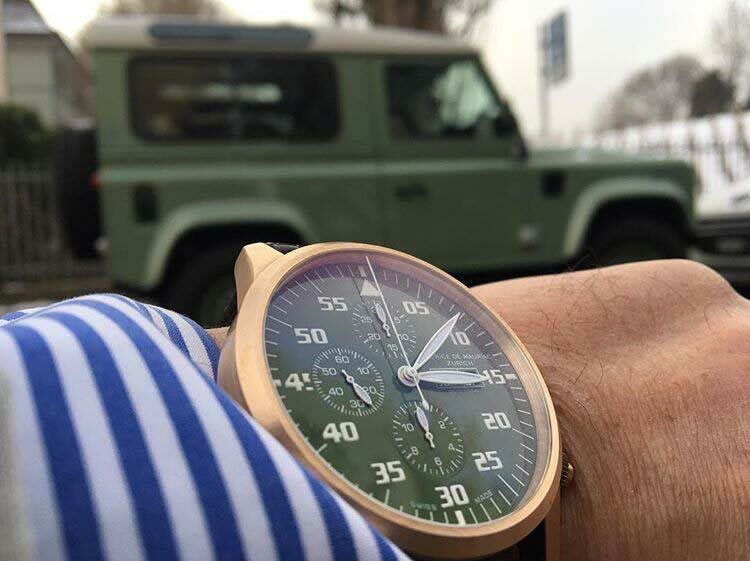 Unlike his previous watches which were nice and extremely high quality (he has clients still returning after 14 years to show him their intact watch), the L series took a different approach. 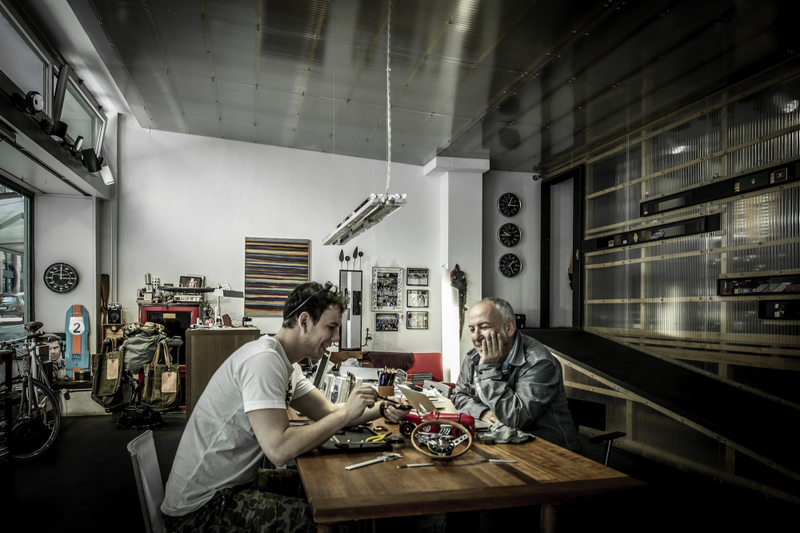 Dreifuss worked with local designer Fabian Schwaerzler, to ensure people got the message and really felt the dogma. 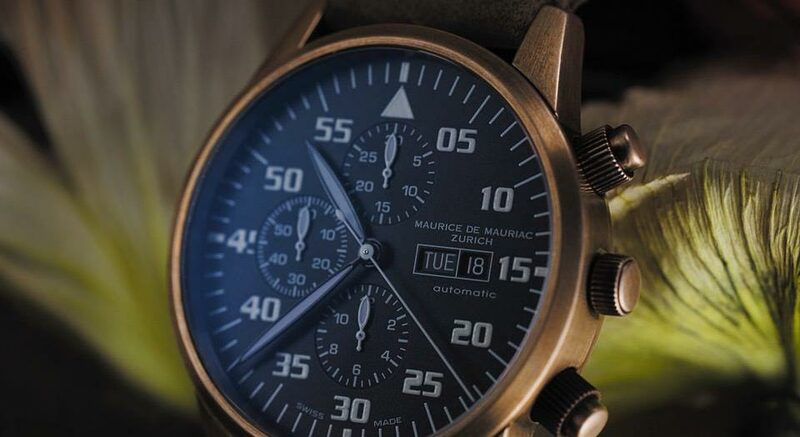 It’s much more than just a watch, it’s becoming part of something bigger, becoming part of the Maurice de Mauriac family. 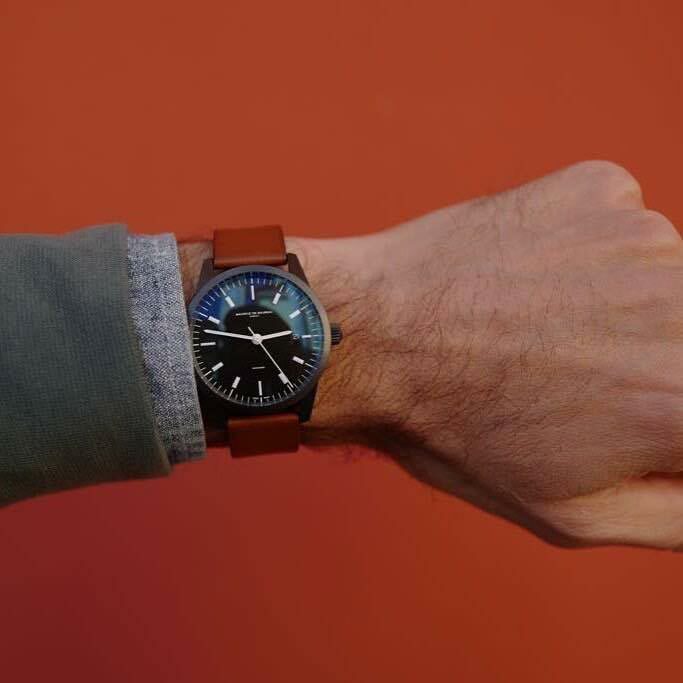 From finishing the L series, to playing with new colours and kangaroo straps, Dreifuss is extremely hardworking and acknowledges that everything takes time. He works a lot to know the material, the reactions and the consequences. He will continue to wait for those unique moments, being actively patient and unwaveringly committed to his brand and family.